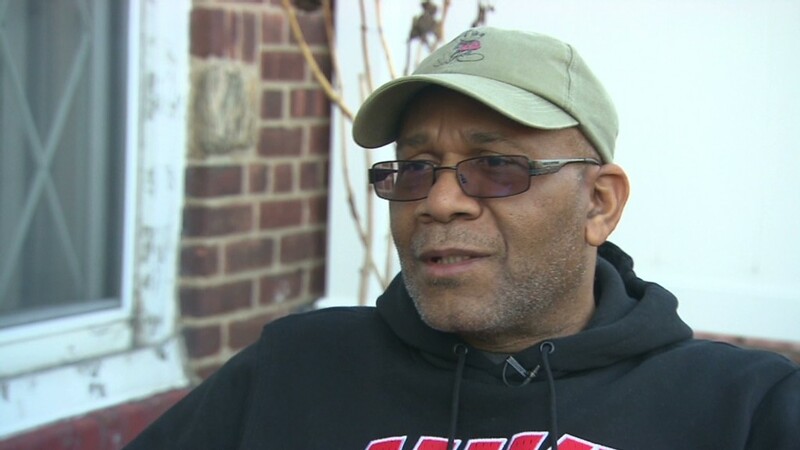 Frankie Tisdale, who works at a KFC in Brooklyn, will join a May 15 fast food worker strike, calling for a increase in the hourly wage to $15.00. The fast-food worker strikes are expanding to more U.S. cities and going global. Workers in up to 150 cities across the country are planning to strike on May 15, according to labor organizers. The movement is also headed overseas, with plans for workers to join protests in 33 countries. On Wednesday, the workers announced the protests outside a McDonald's in New York City, and delivered a letter that called on the fast food giant to raise wages and respect workers' rights worldwide. However, security guards didn't allow the workers to bring the letter inside the restaurant. So, they posted the letter on the door. It was removed soon after. The protest movement, which originated in 2012 in New York, last year spread to about 100 cities, including Boston, Chicago, Denver, Houston, Los Angeles and Memphis. 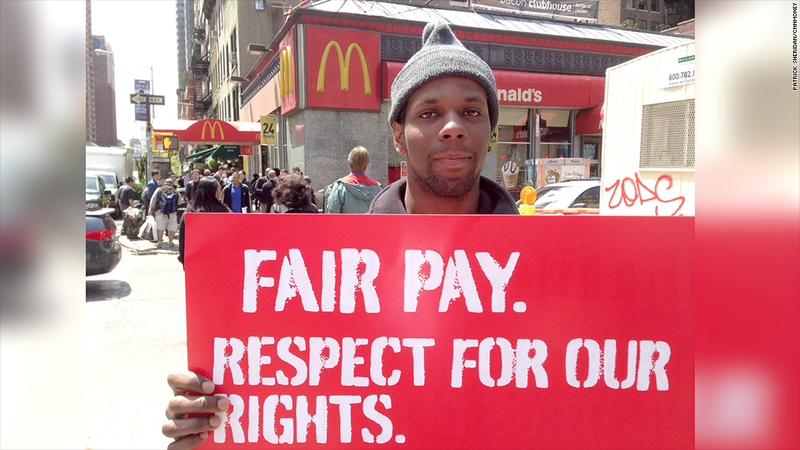 Workers from fast food giants like McDonald's (MCD), Burger King (BKW), Wendy's (WEN) and Yum! Brands (YUM), owner of KFC, have been walking off their jobs, calling on employers to pay them a minimum wage of $15 an hour and allow them to form unions without retaliation. Frankie Tisdale, a 26-year-old worker from a KFC in Brooklyn said he will join the strike with fellow workers next week. Tisdale lives in his father's house in Brooklyn with his girlfriend and two young children. He earns $8 an hour and works between 14 and 23 hours a week. With less than $200 a week, he sometimes has to choose between buying food for the family and taking his kids' clothes for a wash to the laundromat. He said it's too expensive to eat at the KFC where he works so he never does. "Everything costs more. Why can't my pay go up?" Tisdale says. In the past year, many states and cities have taken action by raising the minimum wage. This year alone, Connecticut, Maryland, Hawaii and New Jersey raised the minimum wage for workers. Organizers see these actions as a testimonial to the success of their campaigns. The latest protests are backed by the International Union of Food, Agricultural, Hotel, Restaurant, Catering, Tobacco and Allied Workers' Associations, a federation composed of 396 trade unions in 126 countries representing a combined 12 million workers. Earlier this year, workers in three states filed class-action lawsuits against McDonald's alleging widespread and systematic wage theft. Labor experts say there have been scattered attempts to organize in previous decades, but very little in the fast food industry has stuck. Many say that's because there is a high labor turnover rate in the industry. In its latest annual report, McDonald's acknowledged that the threat of strikes could potentially have an impact on earnings and sales. In a statement, McDonald's said it offers "part-time and full-time employment, benefits and competitive pay based on the local marketplace and job level." The company, and its franchisees, "are committed to providing our respective employees with opportunities to succeed." McDonald's also said that about 80% of its restaurants globally are independently owned and operated by small business owners.